It is with great sadness that the family of Karel-Mari Jordan announces her passing after a brief illness on Thursday, January 4,2018, at the age of 85. A resident of Titusville, Florida at the time of her passing, she was born in Grand Rapids, Michigan, June 7,1932. She was the daughter of J. Harvey and Ethyl J. (nee Dykstra) Kleinheksel. 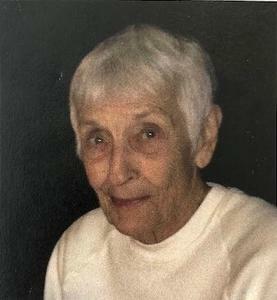 She is pre-deceased by her husband of 58 years, Jarrett "Lucky" Timberlake Jordan, and her sister and brother-in-law, Sara-Jo and Robert Bolte. Karel-Mari is survived by: son and daughter-in-law Jarrett DIrk and Nancy A. Jordan; her daughter,Jo-Llyn J. Copp; daughter and son-in-law Krista Marie and David A. Trimmer; and grandchildren Mikaela Mari and Cortney Llyn Jordan, KyLlyn D. and husband Brandon McGarity, John Dalton and Kari Marie Trimmer; and several nieces and nephews. A memorial service will be held on July 3,2018 at 1:00pm at Dykstra Funeral Home-Downtown Chapel, 29 East Ninth Street, Holland, Michigan. Burial to follow at Pilgrim Home Cemetery, located at 364 East 16th Street in Holland.